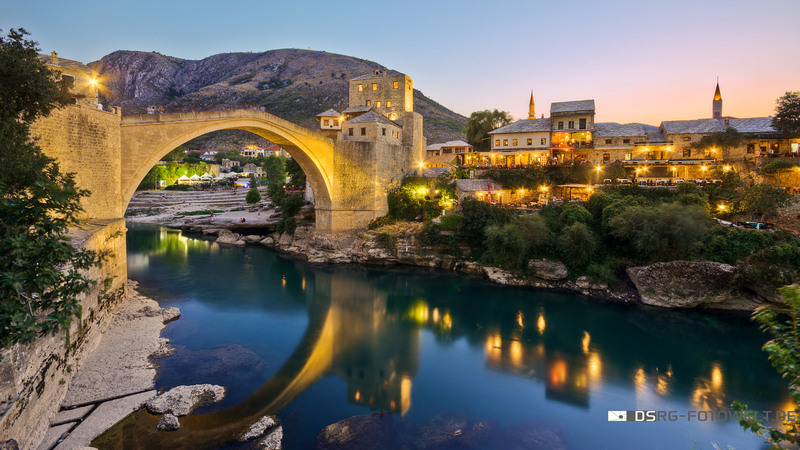 Located in southern Bosnia and Herzegovina, Mostar is one of the most visited places in the country. 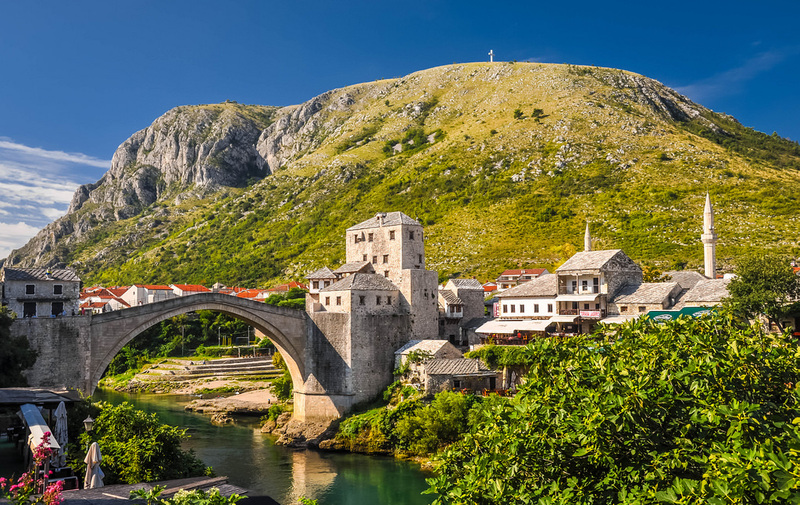 Built by the Neretva river and surrounded by mountain hills, Mostar attracts a lot of visitors. 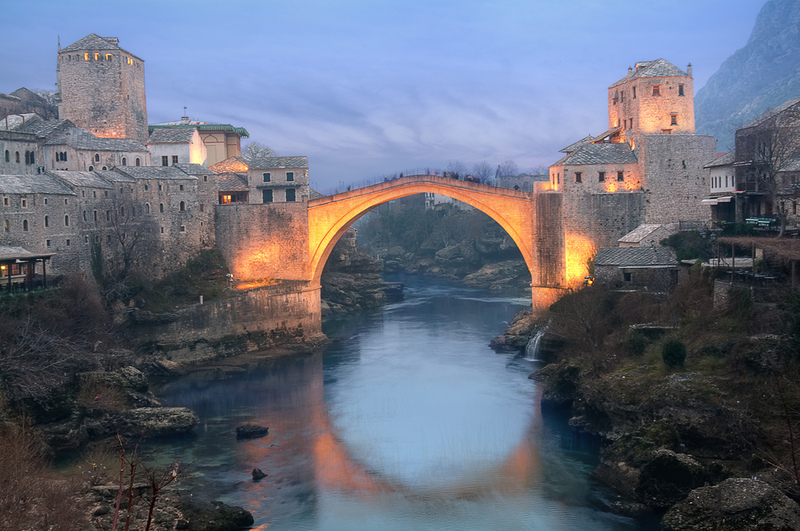 But, the star of the show is Stari Most (Old Brigde) in the heart of the Old Town. The city was mostly developed in 15th and 16th centuries, during a ruling of The Ottoman Empire. 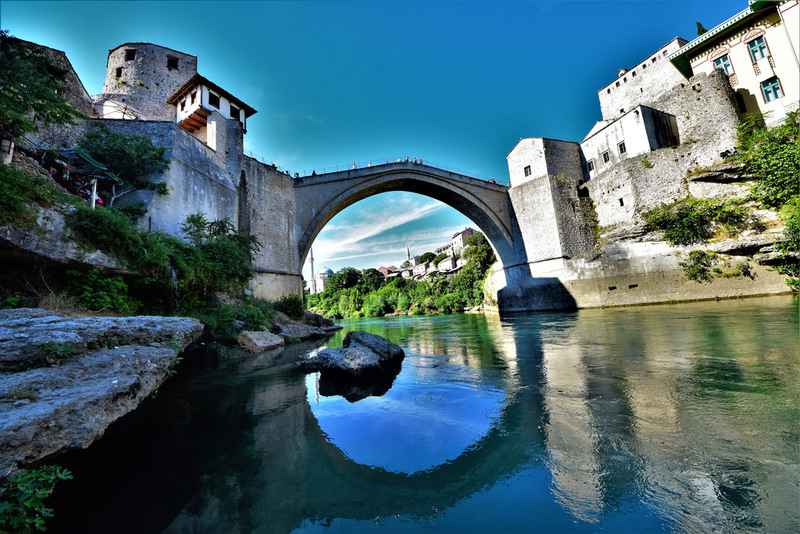 And later, in Austro-Hungarian period, in the 19th and 20th centuries.The city gets its name from the bridge, as a keeper of the bridge was called Mostar. The bridge was built by Ottoman architect Mimar Hayruddin in 1558. As the legend states, the stakes were so high, that the architect had his own funeral planed on the day the scaffolding was removed from the bridge. Fortunately, the bridge stood for 417 years, until it was destroyed by war in 1993. The Bridge has been reconstructed and It offers a beautiful view of the city. Although, the arched bridge looks easy on the eyes, its hard to walk on; especially after the rain. Nonetheless, the river side under the bridge is a great location as well. Visitors can fully observe the shape of the bridge and cool down in the river. 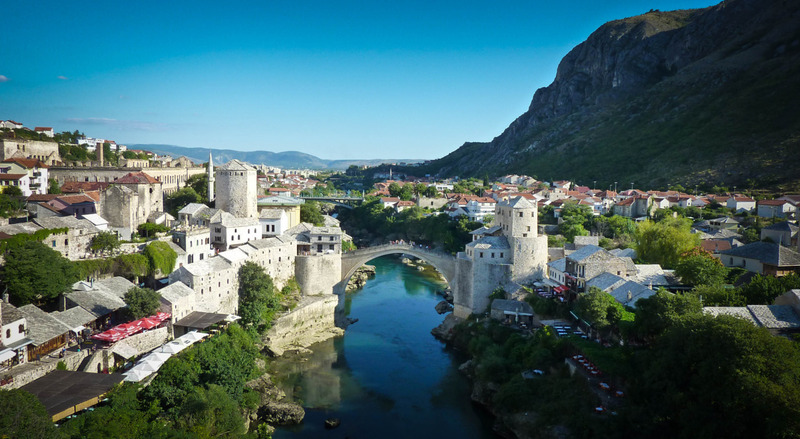 Traditional diving competition is held on Stari Most annually. People jump from the bridge to the Neretva river. Besides the fact, that the competition takes place in summer, water is very cold. The city has a rich history and it is well known for its former diverse population, which resulted in mixed architectural styles. The Old Bridge Area is in UNESCO World Heritage list. The streets in the Old Town have a cobblestone and unique buildings. A gift shops, museums, cafes and restaurants please visitors various taste. The trace of the two different rulers mixed, with indigenous culture, makes Mostar a favorable destination for people of all backgrounds.